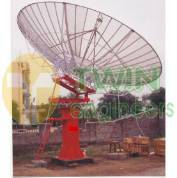 We manufacture wide range of Broadcast & Communication Antennas. Our broadcast & communication antennas are designed for working in stringent site conditions. Our product range consists of High Power High Gain Broadcast antennas for TV & FM transmission & VSAT antennas.